I meant to put this one up yesterday for Crafting with Kids Saturday… but … you know how that went. It didn’t! Nonetheless, today I wanted to share with you a new kids craft post. This one in honor of today, flag day and the upcoming 4th of July. 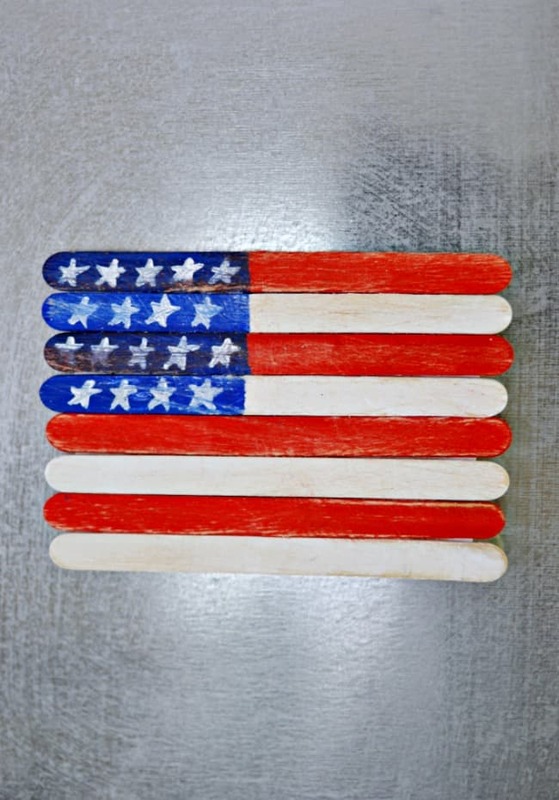 Just a fun and easy little Popsicle stick American flag craft to create with your kids and hang on the fridge. 1. Start off first by painting 4 craft sticks white and 4 craft sticks red. 2. 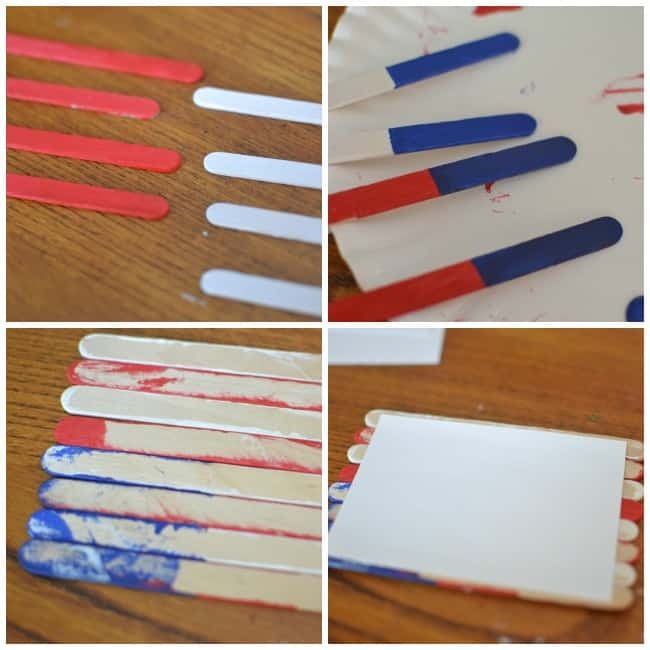 Once the sticks are dry, paint a portion of 2 red and 2 white sticks blue. Allow to dry! 3. Turn over (caution: be sure you reverse the order so it turns out right when flipped… not that I did that wrong or anything the first time.. haha) and glue on your card stock/cardboard backing. 5. This step is optional but we sanded ours a little with sandpaper just to give it that aged flag look. 6. 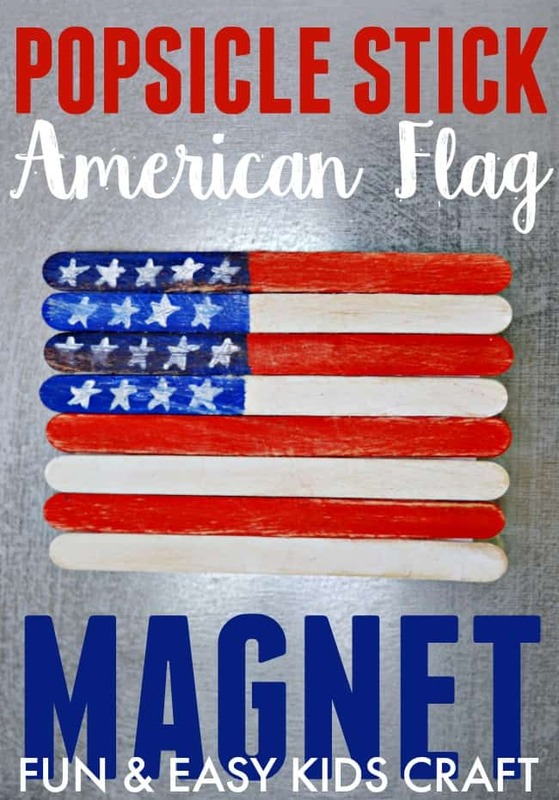 Lastly, attach a magnet to the back of your flag. We used one .75 inch adhesive magnet to hold it up. I love comments! Let me know what fun plans you have for this Fourth of July. Want more of the Crafting with Kids! series? You can find all of the ones posted here.